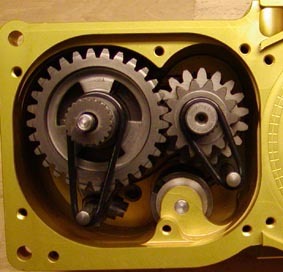 If you want to take the motor apart, or want to take the gear axle out, start to take the disk valve cover of, then the take the disk valve out, next step replaces screw under the front crankshaft with the fixation screw, then take the center pieces of the clutch release out as don at the photo, you can then loosen the center nut, without the motor turning, you do the same then you tighten the nut, if you not want to change the clutch plate, then don't take the 4 other 5 mm. 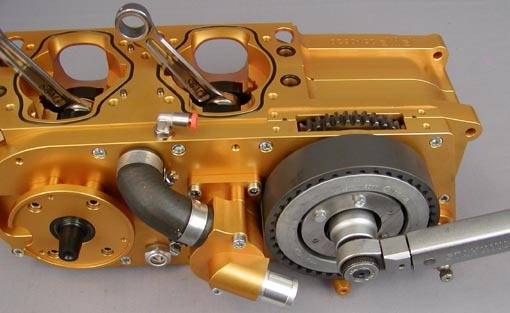 screw out, just take the complete clutch out. 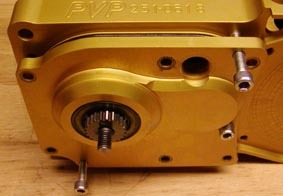 Use the 2 long screw from the cover to press the cover of the gear box. 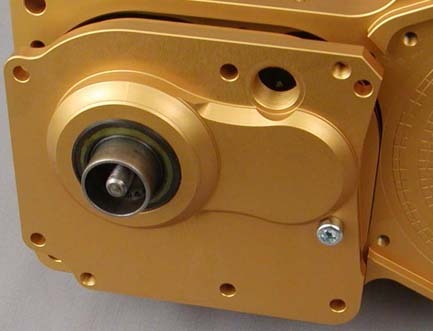 Use 2 O-Ring to hold the shift fork axle in the right position then you take the gear axle in or out. Then you mount the gear box cover, is it good to use ring over axle so you damage the oil seal, the ring is 24 mm. inside and 25 mm. outside.